The Kailash Cave is located on a small hill and was discovered in 1993. The cave has a length of nearly 100 m. It has a narrow entrance and contains stalagmite and stalactite formations. A stalagmite formation in the shape of a Shivlinga is situated at the end of the cave. The fascinating feature is that when struck by hand, the hollow walls of the cave make amazing musical sounds. Among thousand of jungle covered peaks there are hidden caves and isolated grotto, which are artificially and naturally illuminated which makes it a picturesque destination. Get a row boat and head out to explore these caves. You can explore q3Thien Cung Cave – nicknamed the Heavenly Palace Cave, known for its stalagmites and stalactites, and Dau Go Cave – known as the Cave of Wonders, featuring fascinating rock formations illuminated by a kaleidoscope of colour. The Siju Caves, near Tura, is one of the most exciting place for adventurous tourists to explore in Meghalaya. This is one of the longest cave system in India, a large part of the Siju Cave system is still unexplored by man, and has several perplexing passages, similar to that of a maze, but only that these are naturally made. The Caves houses a remarkable formation of stalactites and stalagmites, made of limestone. The Caves also houses river passages, of the tributaries of the Simsang river, on whose bed the Caves lie. The Siju Caves are also called the Dobakkol or the Cave of Bats, due to the presence of an unusually large number of bats residing in the caves. Note: For those of you wishing to explore this cave, it is highly recommended that you carry a wearable headlamp/torch and gum boots for exploring the caves. The Kutumsar Caves are basically underground caves that are situated 35 m below ground level and include extraordinary formations of stalagmites and stalactites. The caves are considered to be the second longest natural caves in the world and consist of five chambers and several blind wells. The caves are two kilometres deep and pitch-dark and are accessible only up to a certain point, owing to lack of oxygen in the deep parts. Belum Caves, Kurnool is the longest cave system and is one of the Kurnool attractions which are visited by most of the people. It is an underground cave and has three well like cavities. The main attraction of the cave is the exquisite stalactite and stalagmite formations. Huge marble Buddha statue on these caves is the sign of worship of Buddhist monks. Natural waterfall is also seen in this cave which is very beautiful and attractive. The Mawsmai Caves in Cherrapunji are one of the most astoundingly beautiful tourist spots in Meghalaya. This Cave is recommended for aspiring and amateur cave explorers, as this Cave is easy to navigate through, as only a select portion of the Cave is available to the general public, which is about 150 meters, out of the total length of about 250 meters of the Cave. The intricate, naturally made stalactites and stalagmites of limestone, which sometimes make the floor and the roof of the Cave to come together, to make the iconic pillars, is one of the unique things about Mawsmai Caves. Another interesting fact about the Mawsmai Caves, is that although the Path may seem narrow at first, yet, at some places, the roof can be up to 40 feet high, which will give you ample space to look at the detailed rock formation of the Caves, with the various colours and patterns making it seem as if the Cave were alive. Being a splendid city of Gujarat, Rajkot also houses archeological sites and Khambhalida Buddhist caves are one of them. These caves are a group of three containing chaitya and stupa. Amidst beautiful environment, the location of these caves is on a small hillock and near a spring which is just perfect and appealing for nature and archeological lover. Depicting the Buddhist culture and history, Khambhalida caves have become a point of a visit in Gondal which is near to Rajkot. Looking back, it is known by the archeological survey that the caves were carved from limestone by a Saint of the Dinyan branch of Buddha tradition. The entrance is accentuated with two large sculptures of Bodhisattva-Padmapani and Vajrapani. You will surely be stunned to witness the rich work of art that still remains intact and stands as a symbol of the Buddha tradition. Guchhupani is one of the names of Robber's cave, situated at the distance of 8 km from the city center. It is 600 meters long cave having small river inside it. The place is quiet near to the Tapkeshwar temple. You will have the most fun filled cave experience. Walking by the icy cold river, is quite exciting and adventurous thing to do. You will get to see varied species of birds here too. Kuda caves or popularly known Buddhist caves are rock cut caves are considered as a spectacular example of Buddhist cave art and architectural excellence. Kuda caves are situated at an altitude of 150 to 200 m above sea level. Kuda caves give a picturesque view of the surrounding valley as it is situated on hilly terrain. Kuda Caves in all are 26 rock-cut caves, 11 rock-cut cisterns and 30 inscriptions. All caves are located as compact group, outer caves are not further than 200 m away. The rock cut cave represents Buddhist culture and thirty inscriptions describe donations by lay Buddhists and Buddhist monks. Front gate of the caves presents rock carved images of elephants. Entrances open to the south-west, there opens beautiful view on fine landscape - estuary with steep hills around it. A sanctuary of south Indian architecture hidden in the coastline of Tamil Nadu is the outstanding Varaha caves. The group of monuments at Mahabalipuram is inscribed as a world heritage site with striking and unusual structures. This famous Hindu shrine attracts a number of tourists to admire the intricate styling. One of the primitive buildings of Mahabalipuram you can see unique sculptures artworks and fine expressions of the ancient era. The caves are a fine example of the ancient construction styles. You can find exquisite carvings and sculptures portraying instances from Hindu mythology. The caves are called so because the main sculpture is of the Lord Varaha one of the avatars of lord Vishnu. Located on the Coromandal Coast the temple is a beautiful work of art you cannot afford to miss. The Bhartrihari caves are located at the banks of Kshipra river in the city of Ujjain, Madhya Pradesh. Named after a famous sage “Bhatrihari” stepbrother of King Vikramaditya, it is believed that he used to reside and meditate here. Assigned to 11th century, the Bhartrihari caves are fascinating with caves leading to the place where Bhatrihari meditated. These caves are an example of Indian rock cut architecture. You will find stone images carved on the walls of the caves. There is a statue of Rishi Bhatrihari, Mahadev’s tridents and Holy ash called ‘dhuni’. It is belived that the Pipal tree near the caves is a samadhi to Rishi bhatrihari. The caves are a peaceful place to visit with Kshipra river flowing next to it. Throughout the journey of Bhartrihari caves, you will have a sense of travelling to a different era. The Tharon caves are located at a distance of 27 kms from the District headquarters of Tamenglong. It is a very interesting site of historical and archaeological importance and is sure to ignite the adventure bug in you. 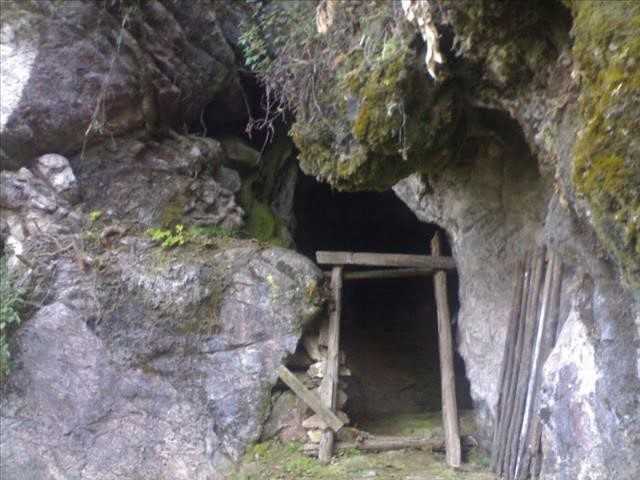 The caves are an integral part of the Manipur tourism festival and regular expeditions are organized to the caves during this time. The cave itself is 655.5 meters long and has 34 joints and 5 exits. There is ample air flow in the caves. A stone at the entrance has a detailed map of the cave. Inside the cave the items discovered links the cave to the Hobinian culture of North Vietnam. It is not a show cave and still retains its wilderness and is untouched by development. Be sure to visit the raw glimpse of history that these caves provide. Buddhist Caves are rock cut caves used as monastic quarters earlier. These caves are over 2000 years old and were carved during the reign of Emperor Ashoka. The oldest is the Khapra Kodiya caves. The walls of this cave have various scribbles and cursive letters dating back to 3rd – 4th century. It is the unadorned cave amongst all and is considered the earliest monastic settlement in the area. The group of caves near to the Modhimath are known as Baba Pyare cave. The north group of it has four caves. The next set of caves lies little to the south of the eastern end. The caves were constructed during the Satyavahana regime and are influenced by Buddhist architecture. Baba Pyare caves has oeuvres of both Buddhism and Jainism. Uperkot caves are situated within Uperkot fort in the north western part of Jama Masjid close to Adi Kadi vav( one of the two step well). They were carved in 2nd–3rd century A.D is influenced by Satvahana architecture with the combination of Graeco- Scythian style. This is cave is dedicated to Jain Monk Bhadrabahu Swami. He being the last 'Shrut Kevali' considered as the most influential Jain ascetic of that time. This cave is a mark of his last stay on Earth and also a symbol of spirituality and meditation. The cave is present on the Chandragiri Hill, which was named after the Chandragupta Maurya. Bhadrabhau swami was known as his spiritual teacher. His feet are too engraved near by the cave on the same hill. Panhalakaji Caves complex is located near Dapoli. It has close to 30 Buddhist Caves and many sculptures around. The caves are located on the Dapoli-Dabhil Pangari road and are nestled deep in the valleys, surrounded by jungle and river which are filled with birds and reptiles. The complex is like a mirroring of the art and culture of that time and is the best place for a history buff. The caves are carved in 3rd century AD by the Hinayana sect and have the inscriptions in Brahmi and Devanagari script. Later another Buddhist group, a Vajrayana sect, established cave 10 with their deities Akshobhya and Mahachandaroshana; and strengthened their practice in that region, in the 10-11th century AD. During Silahara rule they started worshiping Shiva and Ganpatya.